A wonderful shot. 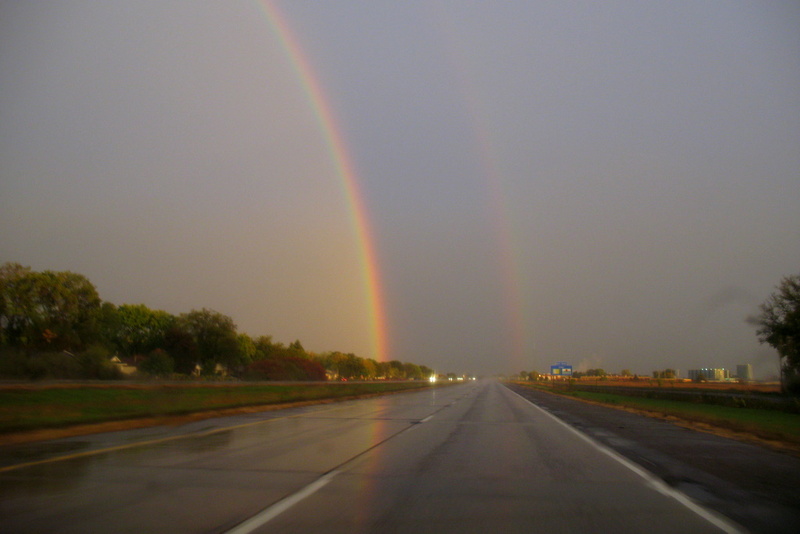 It is a rare find to see a rainbow reflection on the roadway. Most unique. Rule #1 in photography is: You can't get the picture if you don't have your camera. Bravo! Stunning...a double rainbow...and then a reflection, too! Amazing! I'm so glad you had your camera with you! This is just beautiful! I love this photo! Lucky timing. Nice! Its esciting to capture this awesome nature stuff, isn't it? Yesterday while I was drving home from work, I looked out the window and there was a double rainbow, much like the one in the picture. I didn't have a camera with me so I took pictures on my phone. Sadly, they didn't turn out too well.